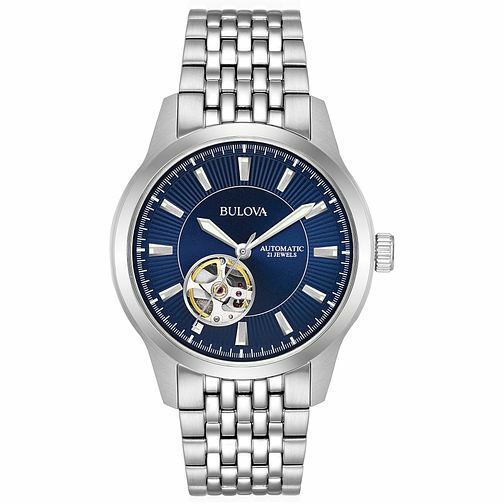 From the Classic Automatic Collection, this Bulova timepiece stands with a round stainless steel case, bearing a silver and blue skeleton dial and exhibition caseback. With self-winding movement behind flat mineral glass, all positioned upon a stainless steel bracelet with double-press deployant closure. Water resistant up to 30 metres. Bulova Men's Classic Automatic Skeleton Dial Bracelet Watch is rated 5.0 out of 5 by 1.